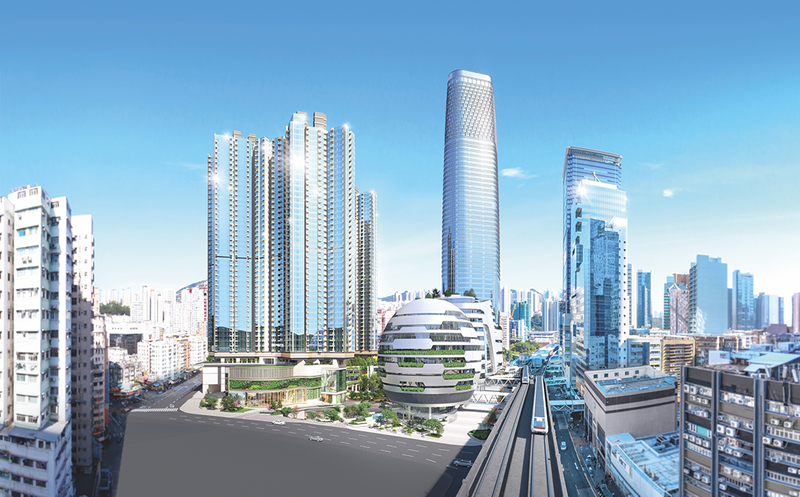 China Mobile Hong Kong (CMHK) announced its first installation of 5G infrastructure in residential properties and shopping malls. 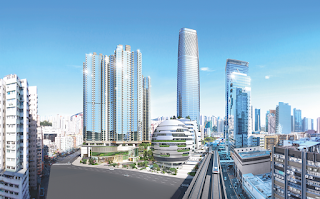 The deployment in conjunction with Sino Group occurred in Grand Central and Olympian City. By deploying 5G infrastructure now, China Mobile will be ready when 5G spectrum is officially released in Hong Kong. 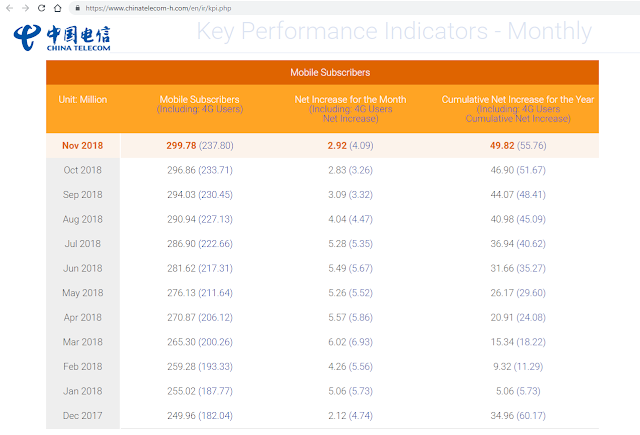 China Telecom ended 2018 on track to top 300 million mobile subscriber lines, up from 255 million at the beginning of the year. China Mobile and Nokia signed a frame agreement valued at up to EUR 1 billion for the continued delivery of mobile, fixed, IP routing, optical transport, customer experience management technologies and operational support as well as services expertise throughout 2018. 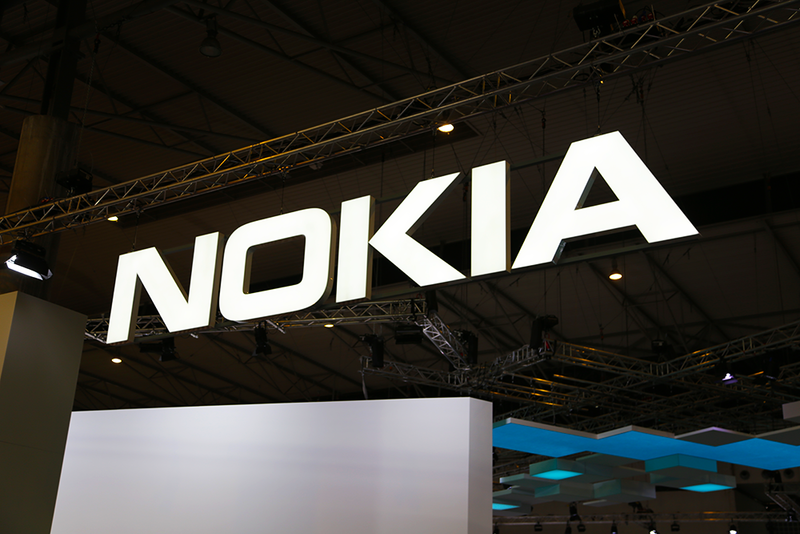 Nokia said it will supply China Mobile with best-in-class, end-to-end technology solutions to enable a next-generation network for the age of the cloud and machine communications. 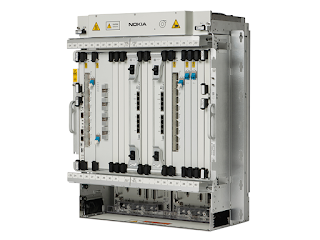 In addition, Nokia and China Mobile have signed a memorandum of understanding for research and testing of the artificial intelligence (AI) and machine-learning capabilities of next-generation networks for the delivery of intelligent network optimization and radio resource management. 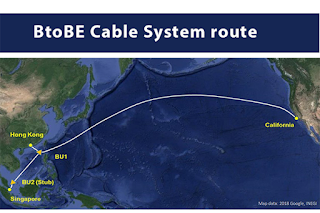 NEC has been selected to build a high-performance submarine cable connecting Singapore, Hong Kong and the United States. A consortium composed of China Mobile International, Facebook and Amazon Web Services is backing the Bay to Bay Express Cable System (BtoBE). NEC said the BtoBE system will utilize multiple pairs of optical fiber and achieve round trip latency of less than 130 milliseconds. Nokia and China Mobile signed a MoU to establish a joint laboratory in Hangzhou, China to study the application of artificial intelligence and machine learning to 5G. The new laboratory promises to foster an open RAN and 5G ecosystem working with third parties. 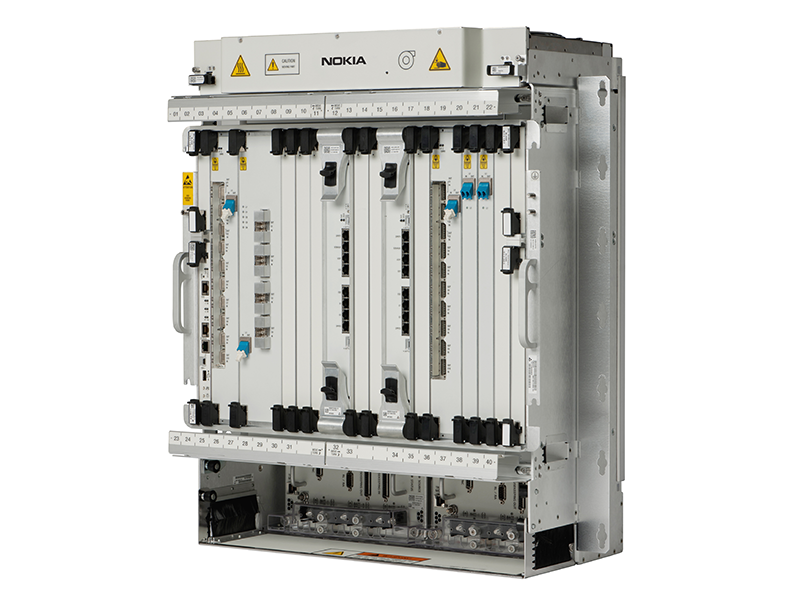 The team will use the Nokia AirScale Cloud RAN, AirFrame OpenRack, open edge server and ReefShark chipsets, as well as Nokia-developed AI middleware to access embedded intelligence. 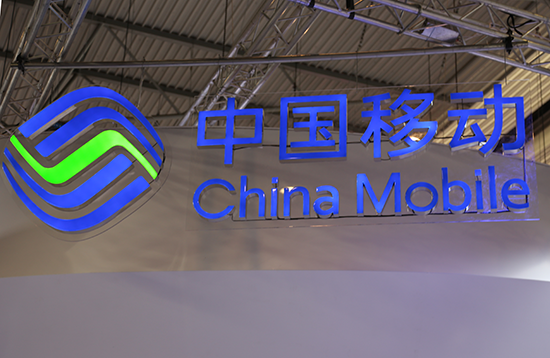 Nokia and China Mobile will also conduct technology field trials and demonstrations. 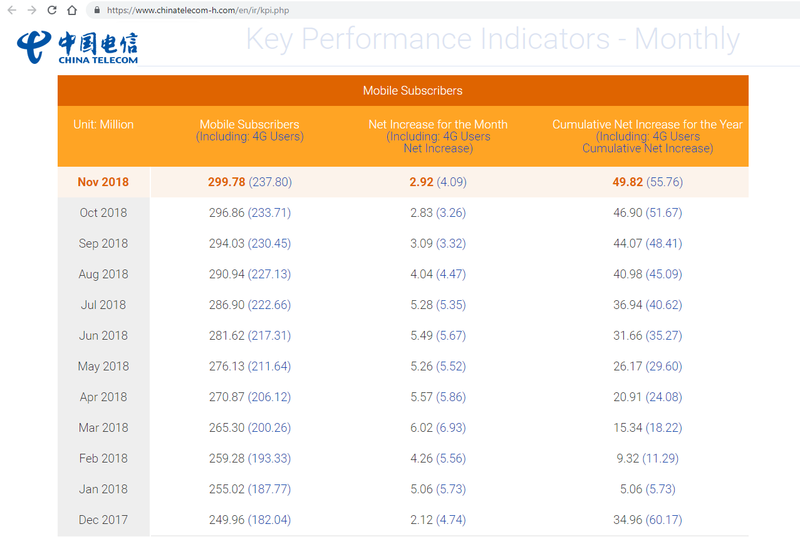 China Mobile will lead the research in terms of scenario selection, requirements confirmation, open API standardization and solution definition. 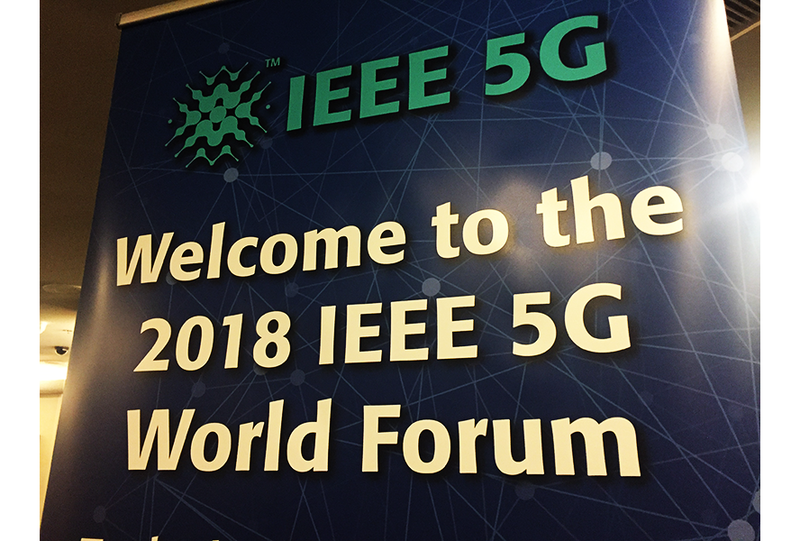 "China Mobile has been paying attention to the application of artificial intelligence for a long time, and making effort to build an open and collaborative 5G+AI ecosystem. 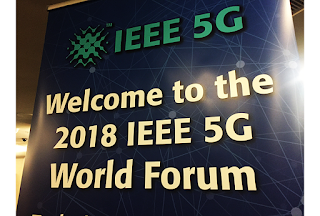 With the signing of this MoU, we are pleased to t initiate the collaboration on the research of big data and machine learning technologies applying to 5G RAN network, and make joint effort in the O-RAN alliance which was kickoffed recently to enhance the intelligence of 5G network, reduce the complexity, and explore the new capabilities of network," says Yuhong Huang, Deputy General Manager of China Mobile Research Institute. Citing national security concerns, the National Telecommunications and Information Administration is requesting that the FCC deny a license request from China Mobile to offer services in the U.S. market. China Mobile initially filed its petition for global facilities-based and global resale international Section 214 authority in September 2011. 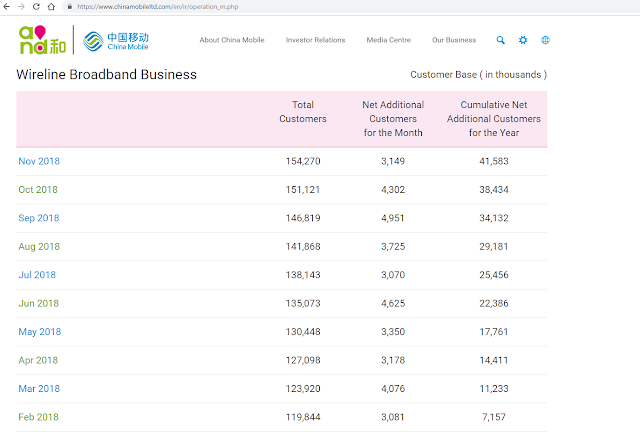 China Mobile and NTT DOCOMO will launch an eSIM(1) solution to enable cross-vendor SIM profile switching from DOCOMO to China Mobile. 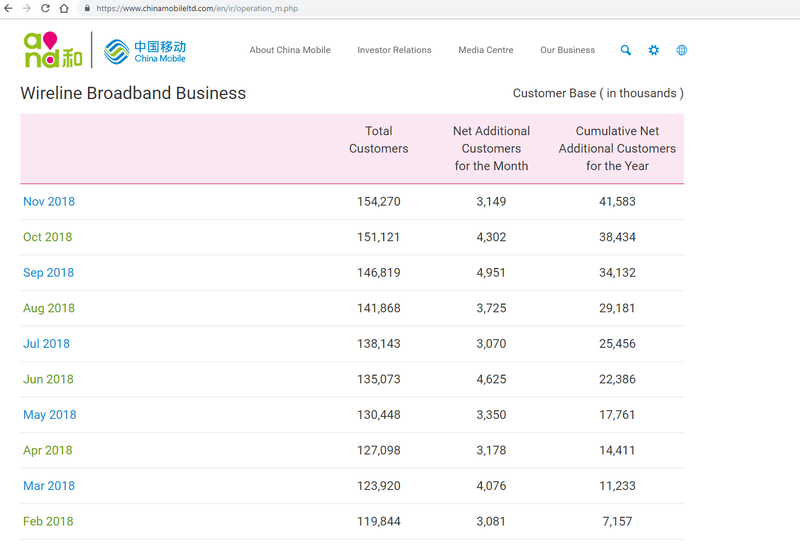 This allows DOCOMO customers from Japan with IoT equipment in China to switch the mobile numbers (profiles) of their IoT equipment from DOCOMO to China Mobile even with different SIM vendors adopted by the two operators, thus eliminating the need to replace physical SIM cards. DOCOMO commercialized the eSIM solution in 2014 and launched a commercial service with Telefonica Brasil S.A. (Vivo) in 2015. DOCOMO and China Mobile International signed an IoT Service Agreement including eSIM solution in November 2017.
. Gradual expansion to Europe, Asia, Middle East and America is planned. Vodafone and China Mobile agreed to resell each other’s IoT services. Under the agreement, each company will share new IoT project opportunities. 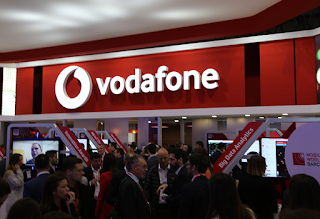 Vodafone customers will be given access to China Mobile IoT SIMS for deployments in China, and China Mobile customers wanting to offer IoT-enabled products outside of China will use Vodafone’s Global IoT SIM and management platform. 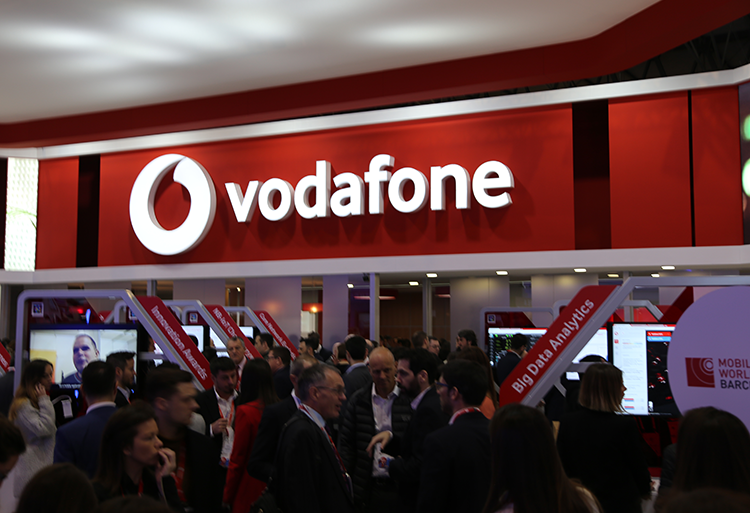 Vodafone will manage all elements of the operational model for its customers including on-boarding, SIM and logistics as well as billing and support. The company will effectively act as a single point of contact for its enterprise IoT customers wanting to move into China. At Mobile World Congress, China Mobile signed a Strategic Cooperation Framework Agreement with Ericsson to develop Internet of Things (IoT) opportunities in industry and enterprises. 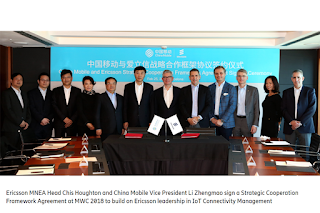 The partnership will build on Ericsson’s Device Connection Platform IoT (DCP-IoT) Connectivity Management platform, as part of the IoT Accelerator Platform, to help China Mobile expand IoT business worldwide, and to support China’s One Belt One Road initiative. The companies plan to jointly build an Industry IoT Cooperation Center to plan for and develop IoT Connectivity and IoT ecosystem solutions in areas such as manufacturing, industry, health, and intelligent transportation. Ericsson and China Mobile also agreed to strengthen cooperation in 5G standardization and 5G networks, and also jointly develop 5G network-enabled use cases for industries, as well as exploring business opportunities to reach the full potential of IoT. 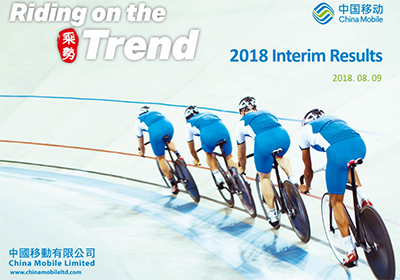 China Mobile Communications Corporation (CMCC), working with EXFO's test solution, completed a performance verification test of core networking equipment from 4 major vendors. The tests examined whether these NFV-based networks can individually support 5 million narrowband IoT (NB-IoT) devices. "Communication service providers have to ensure that new IoT equipment introduced into the network will be compatible with existing network nodes before they go live," Claudio Mazzuca, EXFO's Vice-President, Systems and Analytics. "Through our local presence, we were able to deliver quick turnaround times to adapt to CMCC's specific requirements. 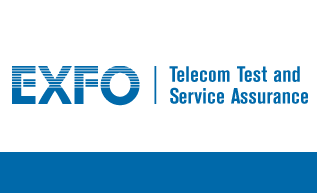 Our test solutions come with unmatched flexibility giving them an edge in today's rapidly transforming telecom landscape." 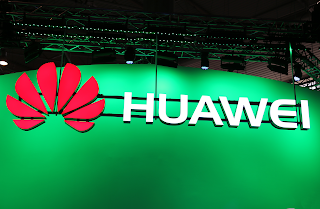 China Mobile is using Huawei's CloudFabric solution to build a private cloud resource pool for its data centers in the cities of Hohhot and Harbin. 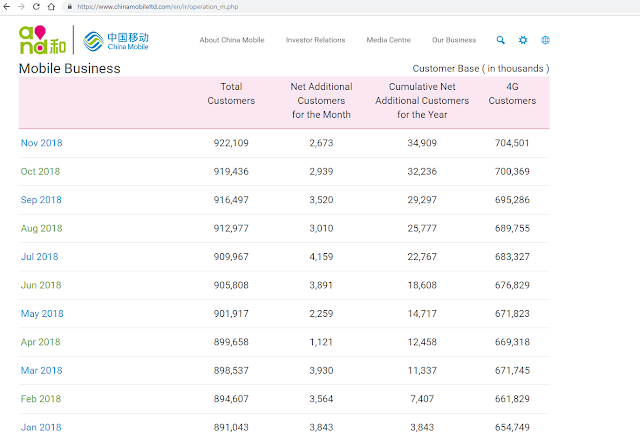 China Mobile is mainly using its private cloud to support its internal IT systems, including business platforms, IT support systems, and other internal uses. In 2016, the Phase-I project for China Mobile's private cloud resource pool was completed. Phase-II aims to become the world's largest OpenStack resource pool. 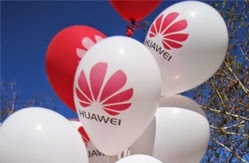 Huawei noted that its CloudFabric solution has been deployed at more than 1,200 data centers in over 120 countries. 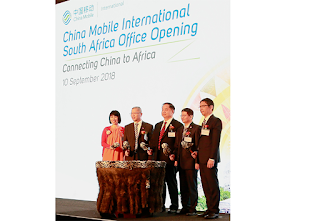 China Mobile is entering the UK telephony market as a mobile virtual network operator (MVNO) with leased capacity on the EE network. The new service -- called CMLink -- will provide mobile voice and data services for Chinese immigrants, students and professionals living in and traveling to the UK. The company estimates the size of the Chinese community in the UK at 433,000. A further 82,000 Chinese nationals are studying in the UK on student visas. During the first half of 2017, there were 115,000 Chinese tourists visiting the UK, up 47% over last year. CMLink promises no extra fees on data, minutes and texts across the UK, selected destinations in the EU, mainland China and Hong Kong SAR. CMLink subscribers can make free calls to 880 million China Mobile users in China. 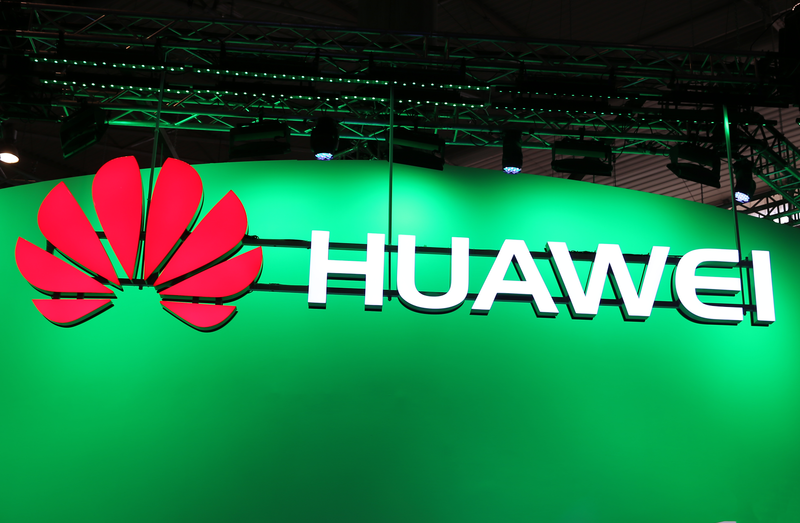 Huawei and the China Mobile Research Institute have developed a Control Plane and User Plane Separated Protocol (CUSP) for cloud-based Broadband Network Gateways (BNGs). The companies said their CUSP draft defines protocol requirements for information delivery, reliability, and security mechanisms needed for communication between the control and user planes in cloud-based BNG architecture with separated control and user planes. The protocol has been submitted to the Internet Engineering Task Force (IETF) for consideration as a standard. 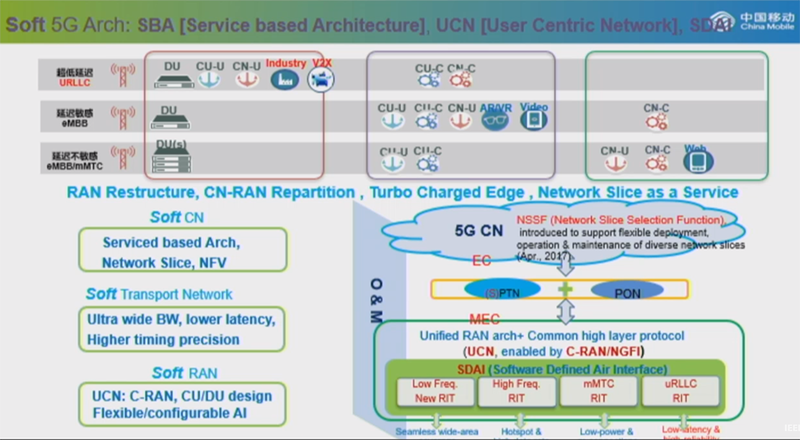 "The CU-separated BNG architecture allows network resource pooling to improve resource utilization and enables centralized virtual control plane to accelerate service efficiency and shorten new service provisioning time,” said Hu Shujun, an expert at the China Mobile Research Institute. “These are the business values brought by the architecture. The standards proposal submitted at the meeting was well received by industry experts, and the interface protocol and information model for interaction between the control and user planes will drive the new architecture to mature and become applicable. On the way to standardization of this architecture, we are open to new thoughts and welcome conversations with more industry experts to accelerate this process." In March 2017, Huawei worked with the European Advanced Networking Test Center (EANTC) to complete the industry's first function and performance tests on broadband access for one million home subscribers. 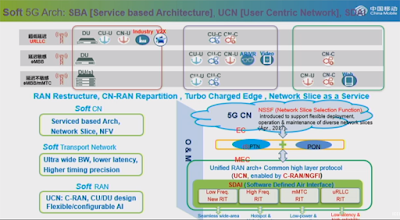 In June, Huawei and China Mobile Shaanxi successfully carried out the world's first commercial trial of the CU-separated BNG architecture on a live network. 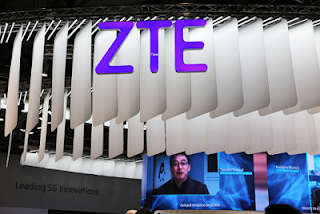 China Mobile signed a strategic cooperation agreement with ZTE covering joint development of smart city, smart home, secure terminal service platform, smart next-generation network operation and maintenance, and next-generation network technologies. The two parties will be committed to co-building a healthy ecosystem as well as encouraging efforts for continuous development in the industry. The agreement was signed at the China Mobile Global Partners Conference 2017. 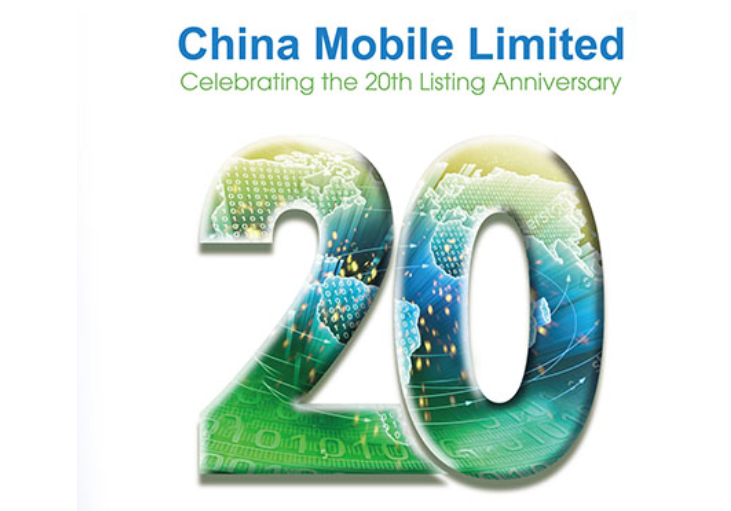 China Mobile marked the 20th anniversary since its debut as a publicly listed company with a first generatio, analogue mobile network. The company first began trading on the main board of the Hong Kong HKEX on 23 October 1997. As of 30 September 2017, China Mobile was serving 877,708,000 mobile lines, including 621,757,000 4G subscribers. The number of net new mobile customers for 2017 has now surpassed 28 million. The number of fixed broadband lines grew to 103.425,000, topping the 100 million milestone for the first time during September. The number or net new fixed line broadband customers has surpassed 25 million for 2017 so far.